Many Nevada residents have created an estate plan that passes on their property to friends and family in accordance with their wishes. However, estate planning alone may not be enough. If the executor of an estate and/or the decedent’s friends and family are not able to locate important documents needed after an individual’s passing, the executor may not be able to fulfill his or her duties. It is wise to keep important documents such as Social Security cards, birth certificates and other documents together in one place where they can easily be accessed in the event of death. The same goes for account statements, property deeds and the like. Not being able to locate these materials after death could cause unnecessary delays and/or make it nearly impossible for certain assets to be located. Of course, it is not only the information regarding physical assets that needs to be made available. These days, many people have online lives that need to be kept track of as well. For example, numerous banks exist only online and do not even have brick and mortar locations. Any information regarding these types of accounts such as login/password and account number should also be kept in a location that can be accessed when needed. Even something as simple as an email password could help locate assets and identify other important information. For these reasons and more, organizing the materials related to a Nevada resident’s estate plan is essential. 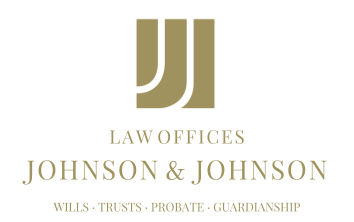 Letting family members know where these estate planning-related items are located could provide peace of mind. This is especially important since it is one less worry for an already grieving family.